During pregnancy, as the baby grows and gets heavier, it presses on the cervix. The pressure may cause the cervix to start to open even before the baby is ready to be born. In a normal pregnancy, the cervix stays firm and closed until the third trimester. 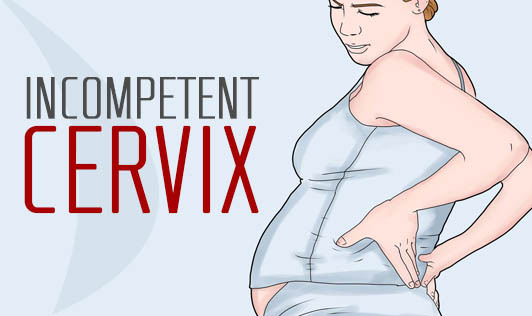 An incompetent cervix is relatively rare, but a potentially serious complication of pregnancy. Many cases of cervical insufficiency remain asymptomatic. But mild discomfort after several days or weeks is possible- starting at week 15 to week 20 of pregnancy.